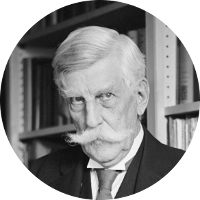 ⇐ Prev Generation | ⇐ Oliver Wendell Holmes, Jr.
4th Generation — Great-grandfather of Oliver Wendell Holmes, Jr.
1 Boston, MA: Church Records, 1630-1895, First Church, p. 324, Baptism record for Jonathan Jackson, New England Historic Genealogical Society (Online Database). 2 Massachusetts Vital Records to 1850 (Online Datebase), New England Historic Genealogical Society (2001-2008), Newton, Vol. 1, p. 116, Birth record for Jonathan Jackson. 3 Currier, John J., History of Newburyport, Mass., 1764-1909, Volume 2, Newburyport, Massachusetts: Unknown (1909), 216, Google Books (Digital Library). 4 Putnam, Elizabeth Cabot and James Jackson Putnam, The Hon. Jonathan Jackson and Hannah (Tracy) Jackson: Their Ancestors and Descendants, Unknown: Privately printed (1907), 7, 27-28, Ancestry.com (Online Database). 5 Wikipedia, "Jonathan Jackson (Continental Congress)", (accessed 12/17/2016).